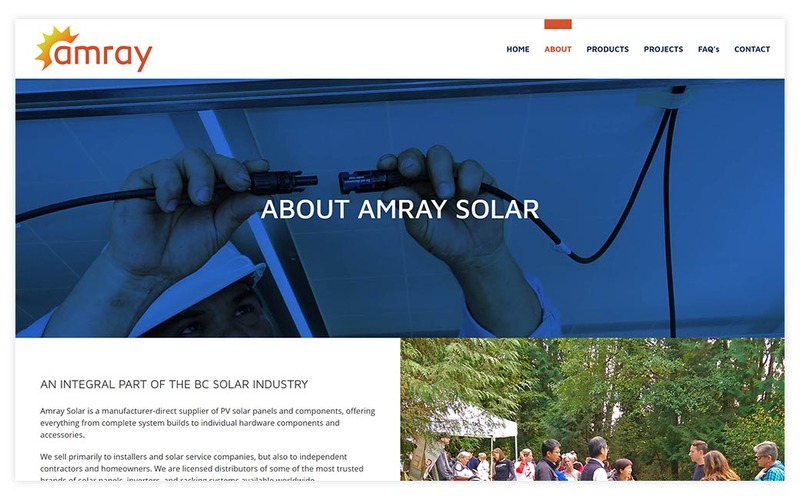 Amray Solar is a Vancouver-based supplier of quality photovoltaic panels, direct from the manufacturer. 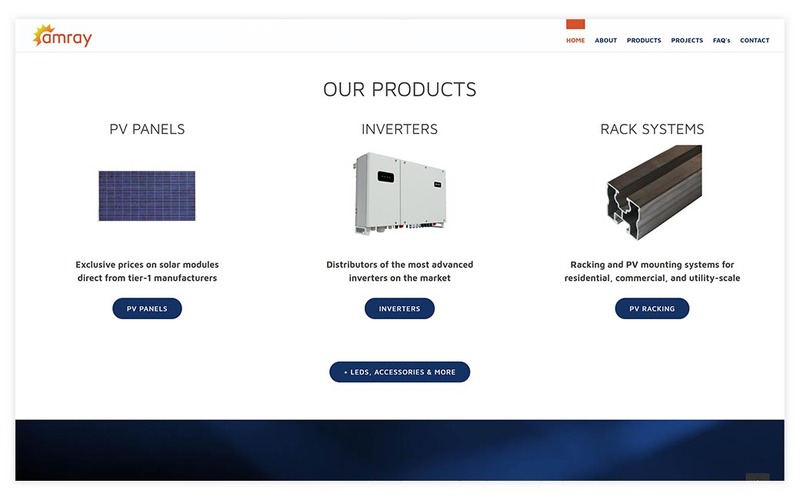 They sell a range of popular modules as well as inverters and other hardware required for complete solar PV installations. 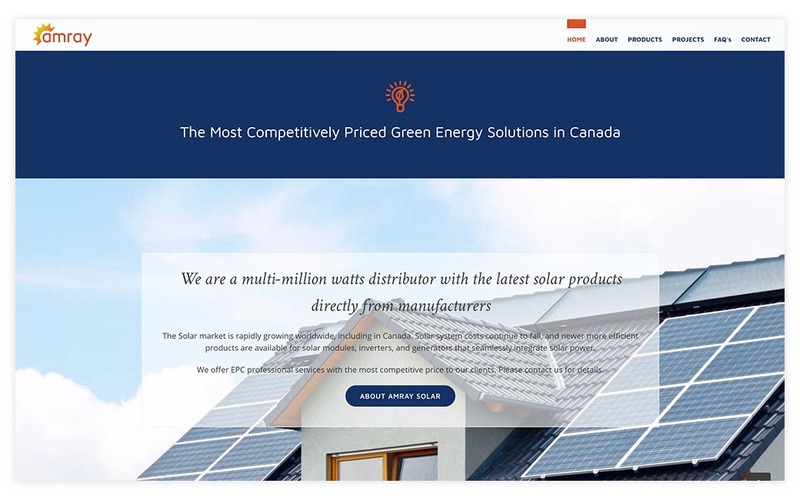 They needed a website to showcase their company and growing product listing. 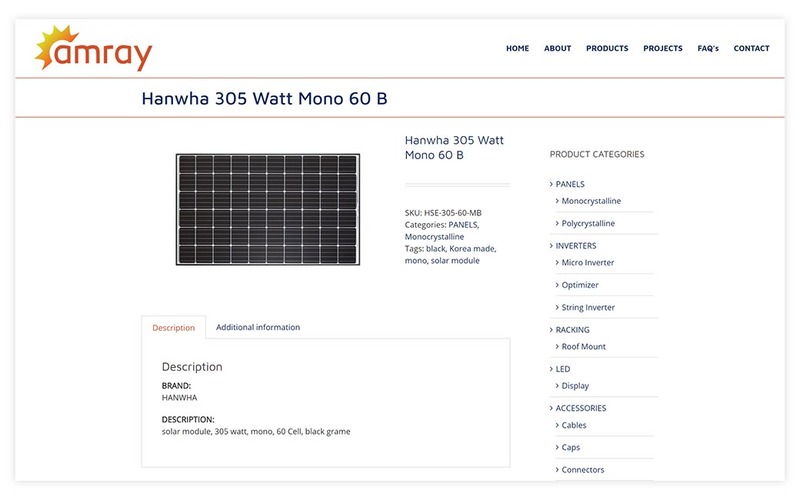 We opted to use a WooCommerce online catalog, showing the products listings, but without the full ecommerce capabilities (shopping cart) activated, since most buyers need further discussion before making a purchase. 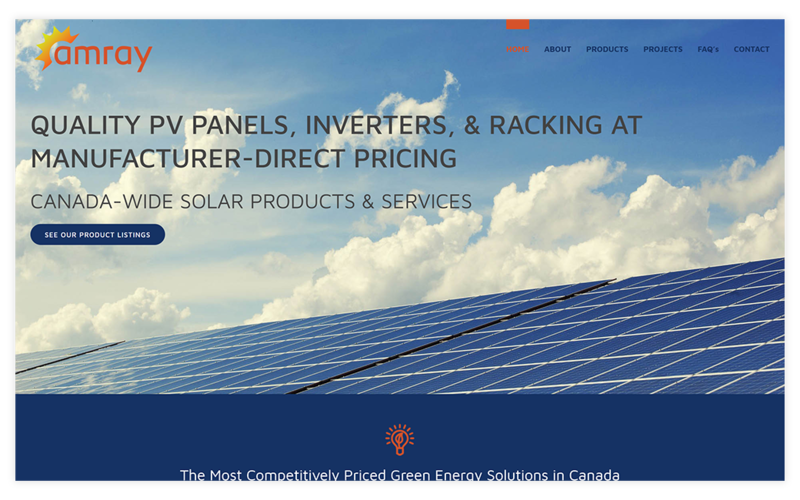 We updated their logo, locked in their colors and fonts for branding purposes, and helped source some stock images to supplement their own photos and the manufacturer’s product images. Product details are loaded into a simple spreadsheet that then syncs with the website’s database, making it easy for them to add and edit product information without need to work directly in the website. 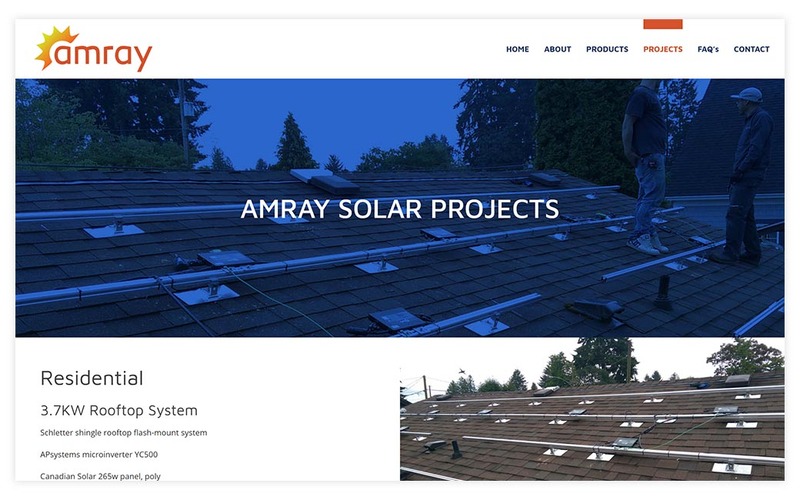 We focus on delivering affordable monthly service packages that include everything most small businesses need for a basic comprehensive website and online presence. We design and build beautiful, cost-effective websites crafted to the highest standards for SEO, usability, security & functionality. We offer extensive online marketing services to ensure you're being seen and those views convert to sales. We also offer content creation, branding, and print design services. © Copyright 2018 Big Picture Websites | Websites & Online Marketing for Small Business - Easy, affordable, secure & custom built just for your company.